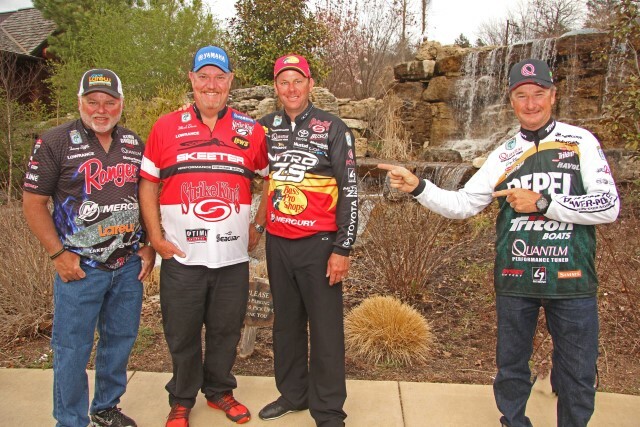 Now that the Bassmaster Elite Series has made its third stop of the year and at Table Rock Lake, the rest of the contingent that accompanies the tour is there. The myriad P.R. 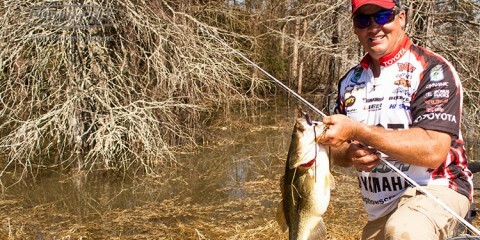 agents and sponsors that attend each event contributes to the story being crafted by the anglers on the water. 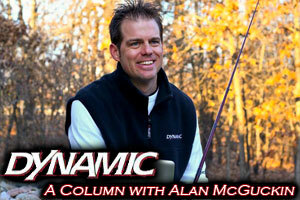 One of the best at helping tell the tale is Dynamic Sponsorships’ Alan McGuckin. For 2014, Guck has decided to do a photo essay titled 5, 4, 3, 2, 1, and we’ve committed to running it in its entirety here in his column on Advanced Angler. 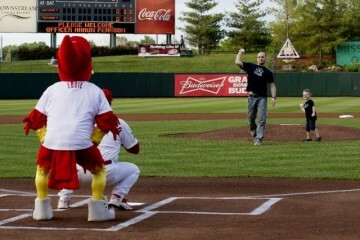 So, here is Guck’s photo essay from Table Rock. 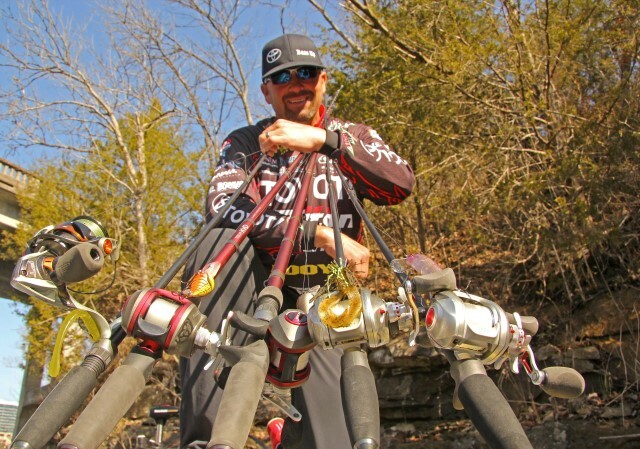 Five lures Gerald Swindle has tied on to begin Day One of competition at the Bassmaster Elite Series event on Table Rock 1.) drop shot with a Zoom Z Drop worm; 2.) an old skool vintage Wiggle Wart; 3.) Fat Free Shad crankbait that will run about 12’ deep through the tops of Table Rock’s submerged timber; 4.) ½ ounce Booyah finesse jig for primary and secondary points leading into creeks; 5.) Smithwick Perfect 10 jerkbait. Four jugs of Riceland fish fry oil were used by Elite Series pros Scott Rook and Kevin VanDam to cook all the delicious Arkansas crappie Rook hauled from his home in Little Rock to provide a lakeside fish dinner at Table Rock this past Monday night. 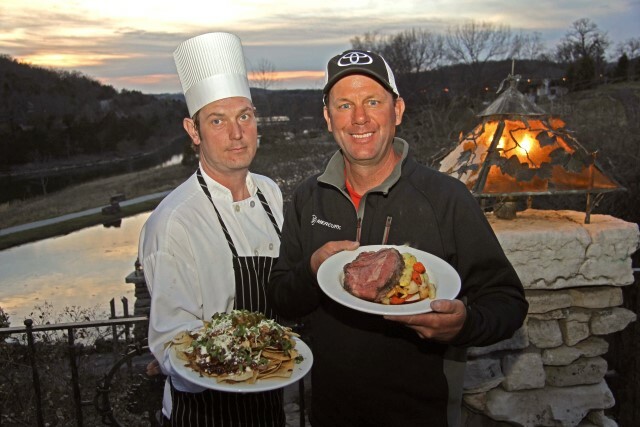 Two meals Kevin VanDam says you gotta order at The Buzzard Bar at Big Cedar Lodge on Table Rock: 1.) The pulled pork nachos covered in coleslaw and cilantro – Kevin says his wife Sherry loves them too. 2.) a hardwood smoked prime rib with Yukon Gold mashed potatoes. 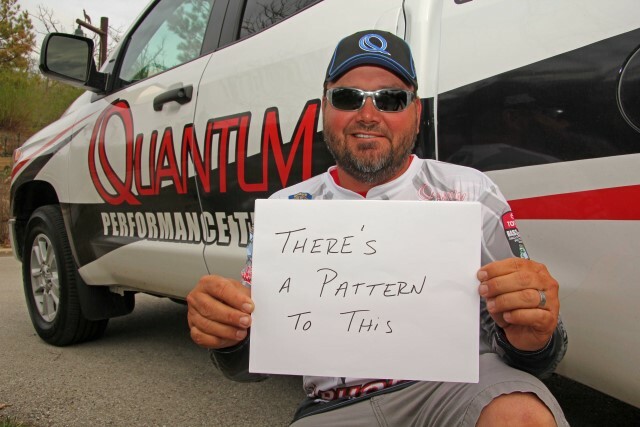 One thing Greg Hackney loves most about Table Rock, other than the fact that he won the Bassmaster Tour event here exactly nine years ago this same week, is that it’s a great “pattern lake.” Meaning that if you figure out what habitat the bass are relating to – such as channel swings, bluff ends, submerged timber or transition banks – that often times you can repeat fish catches on the same habitat throughout a large portion of the lake.